REGION 4– Superintendent of Schools Ruth Levy has the full support of the Region 4 Board of Education as she approaches her third year in the top job for the Chester-Deep River-Essex school district. That was the message from Thursday night’s board meeting, where a nearly unanimous board approved a statement formally acknowledging Levy’s “ongoing leadership and professionalism” during the current school year. The vote comes amid lingering local controversy over the abrupt departure last October of former Valley Regional High School Principal Eric Rice after barely two months on the job, and an ongoing U.S. Department of Education Office of Civil Rights investigation of a 10-day suspension that was imposed on an Essex high school student of Laotian descent for distributing information on a rally supporting Rice that was held by some students and district residents on Sept. 23, 2010. The statement endorsed by the board refers to “the many challenges and distractions” faced by Levy during the current school year. Board Chairwoman Linda Hall of Deep River said the idea of adopting a formal statement supporting Levy emerged during recent closed door evaluations of her performance by the board. The superintendent’s job performance is also being reviewed and evaluated by the local school boards of Chester, Deep River, and Essex that supervise the elementary schools in each town. 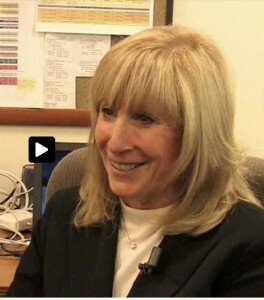 Levy assumed the district’s top job in June 2009 after two years as assistant superintendent. The board approved the statement after a brief discussion. Board member Richard Strauss of Chester, a long-time member who serves as board treasurer, recused himself from the discussion and left the meeting room. Strauss, who also did not vote on approval of the statement, is the father-in-law of former Principal Rice, a Chester resident. Neither Levy nor Rice has commented on the reasons for the former principal’s October resignation, a move that included a $62,150 severance payment and extended health insurance coverage for Rice. Strauss said Friday he did not participate in the discussion and vote because he had not attended the board’s evaluation sessions with Levy. Strauss said he recused himself from the sessions because he believed much of the discussion would focus on “how she handled all of the issues last fall,” including the departure of Rice and the Sept. 23 rally. Strauss declined to comment on his own evaluation of how Levy handled the events last fall. Board member Laurie Tomlinson of Deep River was absent from Thursday’s meeting. No parents or residents attended the meeting to comment on the statement supporting Levy.